When your website or app is live and you have finished final tweaks to your content presentation, it's a great time to implement a store which will allow your visitors to purchase from you. If you are using a headless CMS like Kentico Cloud, chances are you already have most of the information you need to use it as a lightweight product catalog. This makes your catalog widely available across many channels such as mobile apps, in-store signage, and your website. Let’s have a look at how you could use Stripe—one of the most popular internet business platforms—to enable purchasing on your website. 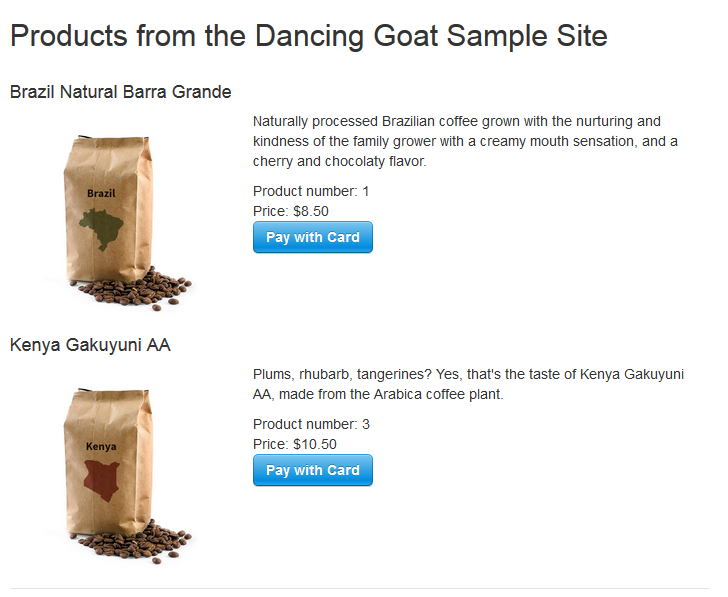 The Sample Dancing Goat project, available with every new subscription, already contains a Coffee content type that we can use and even has a Price field! This is great! But, to make our product presentation clearer, let’s add one more field to our store: a Product number. 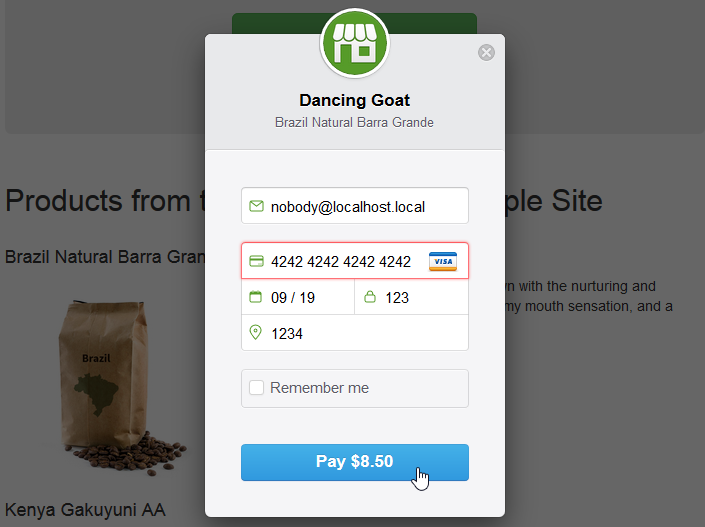 This way you can customize the product and add additional fields you need for your store. Remember to publish the page when you are finished defining the product. 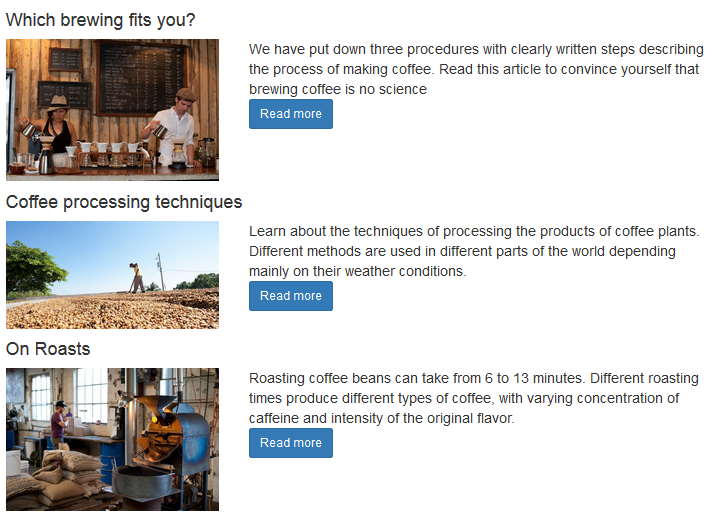 We will use our sample Boilerplate project for the website. A stock version of the project can be downloaded from our GitHub, but you can also download the finished project used for the example below. The usage instructions are included in the readme file. Remember to add your project ID to appsettings.json in order to connect the boilerplate project to your cloud project. CloudModelGenerator.exe --projectid "<ProjectGUID>" --namespace "<custom-namespace>" --outputdir "./NewCode"
From this markup we see that we will need to provide a price for the product so that the form can be processed. This is a good time to future-proof our project a little and to enforce one single way of getting the product price, no matter what the underlying content class is should we decide to sell more than one product in future. As you can see, we could rapidly re-use existing Kentico Cloud content and integrate with a third-party system to accept payments. Thanks to this we can keep a centralized location for all our content and Product data in Kentico Cloud, and further expand on the basic purchase functionality with more advanced features. Go ahead—give the sample project a try!